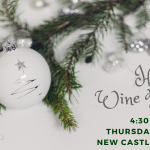 Join us Thursday, December 6, from 4:30 to 6:30, for a holiday wine tasting. 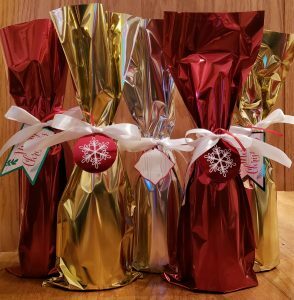 You can try four wines from very different regions, France, Italy, Oregon and Colorado, that are wonderful for the holidays—for you and as gifts. 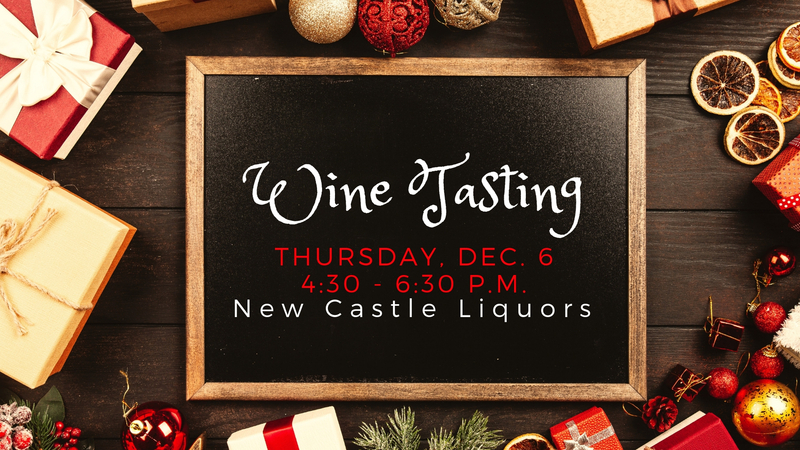 We’ll have free gift bags and tags for your purchases, so they’ll be ready to go under the tree that night! The nose reveals notes of small yellow fruits and almonds, and releases subtle hints of pear and peach. Upon the first sip, the wine is supple and fresh, revealing fruity notes of peach, apricot and hazelnut and a final touch of citrus. Alsatian styles are aromatic (think rose and honey) and richly textured. A member of the extended Pinot family of grape varieties, Pinot Gris is a pink-skinned mutation of Pinot Noir. Pairs well with pork, charcuterie (cured meats) and foie gras. This is an elegant Pinot Bianco with a light medium-lemon color. 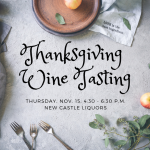 The wine offers aromas of white flowers, lemon-lime citrus, and hints of green apples and pears. On the palate, the wine’s subtle, creamy texture is countered by refreshing acidity and minerality. This wine is wonderful on its own as an aperitif or paired with light salads and vegetable antipasti, light appetizers, fish dishes and asparagus. This balanced Pinot Noir captures the land’s character with bright red fruit and floral aromas—perfect for toasting adventures past, present and future. It offers tart berry, pomegranate and light herbal highlights. The tannins are proportionate, and everything is in balance. A Van Duzer Vineyards wine. Pairs well with salmon, turkey, goose, duck and soft cheeses like Gruyère and Brie. This is a dry, unfiltered Bordeaux-style blend of Cabernet Sauvignon, Cabernet Franc and Merlot that’s aged in an underground cellar in French oak barrels for a minimum of one year. The winery and vineyard are in the West Elks AVA, near Paonia on the western slope of the Colorado Rocky Mountains, at an elevation of 6,000′ above sea level. Pairs well with grilled and roasted meats and game. 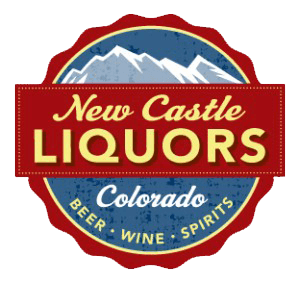 New Castle Liquors is a 2018 Locals’ Choice Award winner for Best Wine Shop and Best Liquor Store. We’re located at 820 Castle Valley Blvd., just off I-70 exit 105, near City Market in New Castle, Colorado. Open Monday through Saturday, 8 a.m. to 10 p.m., and Sunday 9 a.m. to 7 p.m. We will close at 1 p.m. on Thanksgiving Day. Follow us on Facebook to learn about new products, get drink recipes and ideas and enjoy a few laughs.